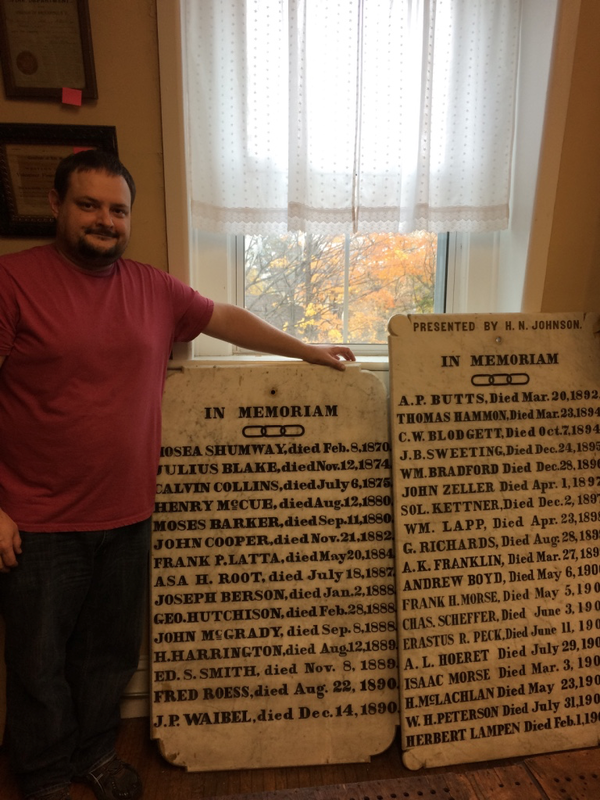 John Howard, a museum internship student from the College at Brockport, is researching the Independent Order of Odd Fellows ‘In Memorium’ plaques that are housed in the Emily L. Knapp Museum. The plaques contain the names of Odd Fellows members that have passed away and been commemorated and honored. The smaller of the two plaques, which can be seen on the left in the picture, contains the names of not only members, but some of the founders; Calvin Collins, Henry McCue and Henry Harrington. 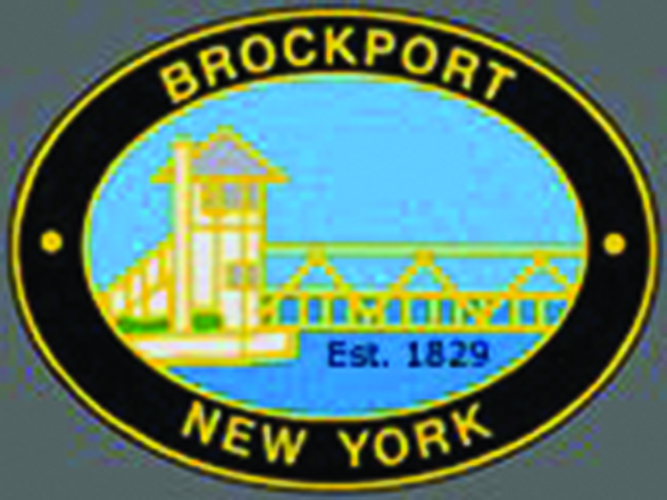 By researching these plaques, John hopes to identify the Independent Order of Odd Fellows’ connection to and presence within Brockport, NY.